Please be patient with us as we continue to work on and improve the site. The secure online store is back up and running! We’re still a bit short on graphics and images, so we still have some work to do, but it is fully functional and secure. If you’re looking for the monthly Dharma schedule, please select the Dharma Schedule link above. Finally, please check out Debra’s new blog, under the Karma Kronicles link above. She’ll be writing and posting new articles every couple of weeks, so check back often! Debra Becker is a psychic medium, spiritual counselor, with over 3 decades of experience bringing families together after the death of a loved one. Born psychic, her abilities have grown throughout the years, reading energy signatures of all livings beings. These signatures reveal the past, present and future of an individual. Each person carries a unique energy, like a finger print. 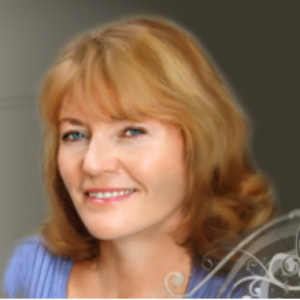 Debra is uniquely empathic, able to effortlessly bridge the gap between the physical and spiritual worlds and bringing forth deceased individuals which is what differentiates Debra from other mediums. Debra’s delivery is communicated through a distinctive spiritual language, presented in a clear, concise and understandable way. Her gifts bring perspective and inspiration to those requesting her assistance. She has been told by many that the personality and spirit of loved ones can actually be felt through the connection as the messages and information are being conveyed. In 2010 Debra was bestowed and honored to receive her Master Teacher Empowerment in the Hanmi Esoteric Buddhist Mystery School. She has brought this great force to her hometown and is now the Abbot of Wisdom Eye Dharma Center, a 501c3 Non-Profit organization, where she transmits Esoteric Dharma Meditations and Mantras. The wisdom in this practice has been passed down from teacher to student for more than 8 centuries, and can be traced all the way back to Shakyamuni Buddha himself. When mastered, this wisdom and these skills can heal and enlighten a vast region, connecting with the Buddhas Mantraic light, which goes to the root cause and effect of all human conditions. You will experience this light with every connection from Debra. She received her Master’s Yellow Vest in Chengdu China while studying with Living Buddha and Dharma King Dechan Jueren (Master Yu). Debra is a disciple of the Dharma King and committed to the complete wholeness of the lineage and empowered wisdom of higher Dharmic consciousness.